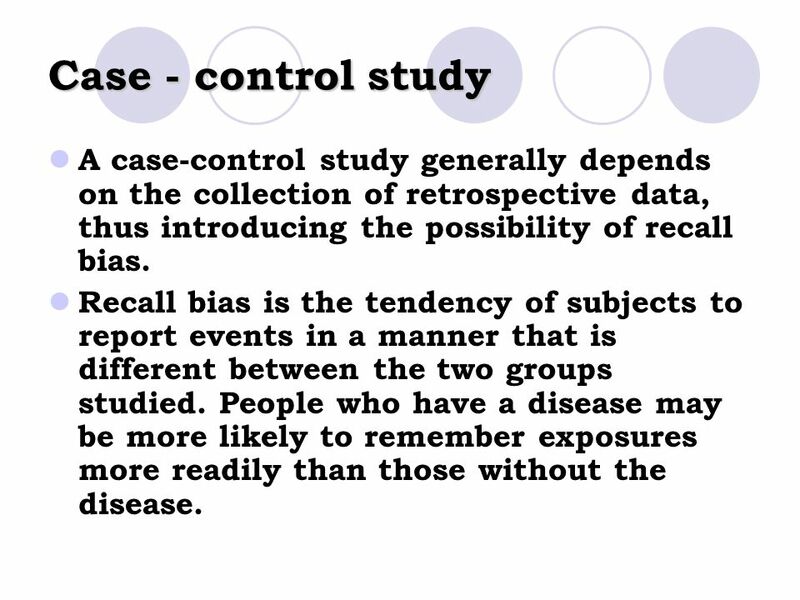 This bias can be difficult to control for, as people of course have a range of preconceived opinions about almost everything they encounter in life. One of the ways to help deal with this bias is to avoid shaping participants’ ideas or experiences before they are faced with the experimental material. With this design there was a danger that "case" mothers, who were highly motivated to find out why their babies had been born with an abnormality, might recall past exposure more completely than controls. If so, a bias would result with a tendency to exaggerate risk estimates.